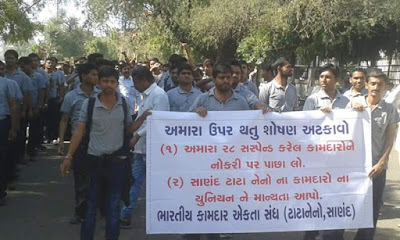 Around 400 skilled workers of the prestigious Tata Nano industry, protesting for around three weeks for the formation of union and revocation of their 28 colleagues, were detained in Ahmedabad after they protested against the Gujarat government’s refusal to play the role of an impartial mediator. 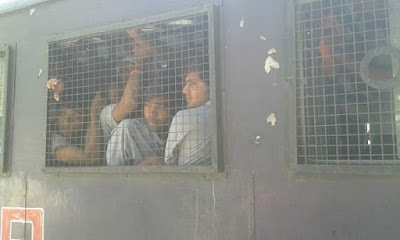 Along with them, around 12 union leaders were also detained. They were released later. Umesh Rathod, secretary, Bharatiya Kamdar Ekta Sangh (BKES), the union which has sought registration, told newspersons that the workers had sought permission to hold a demonstration outside the district collector's office from the police on March 10, three days ahead of the proposed protest, as required, but the “request was turned down”. 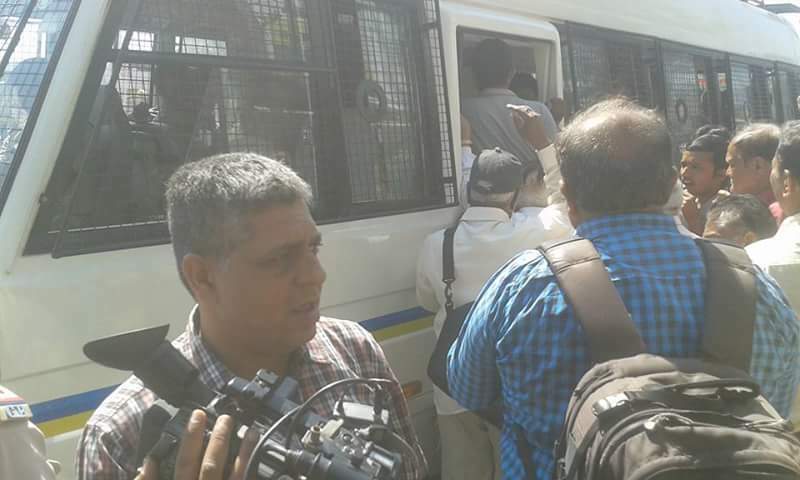 Amidst detention, the workers and union leaders shouted 'Inquilab Zindabad' slogans. The protest took place following top all-India trade organizations deciding to back the Tata Nano skilled workers’ strike, asking the state government to adopt a more reasonable attitude towards the workers. 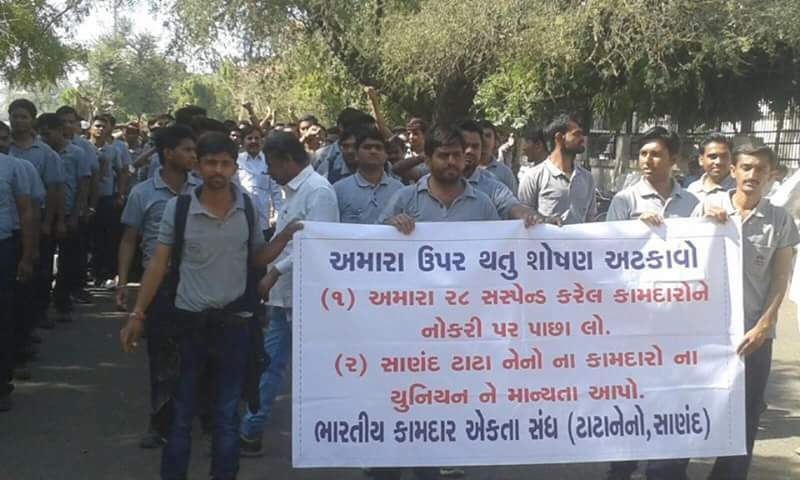 The 423 workers, currently on strike, are permanent employees of the Tata Nano factory in Sanand, about 12 km from Ahmedabad. Around 1,200 contractor workers, who carry out unskilled operations, however, are not on strike. Meanwhile, the Tata Nano is learnt to have asked the Gujarat government to register an “internal union without representation from outside”, which means they would not be able to get affiliation from an all-India trade union. It is not known what the Gujarat labour commissioner’s stance on this is. The Tata Nano management, it is learnt, is insistent that all workmen, except the suspended 28, should return to work. However, the protesting workers do not agree to this. They insist, the suspension of their colleagues should first be revoked, and their union should be recognized. “The inquiry will be conducted in all fairness by an independent agency in due compliance to rules and processes. It is in the interest of business to complete the inquiry at the earliest while adhering to the principles of natural justice and take appropriate action", the spokesman said. 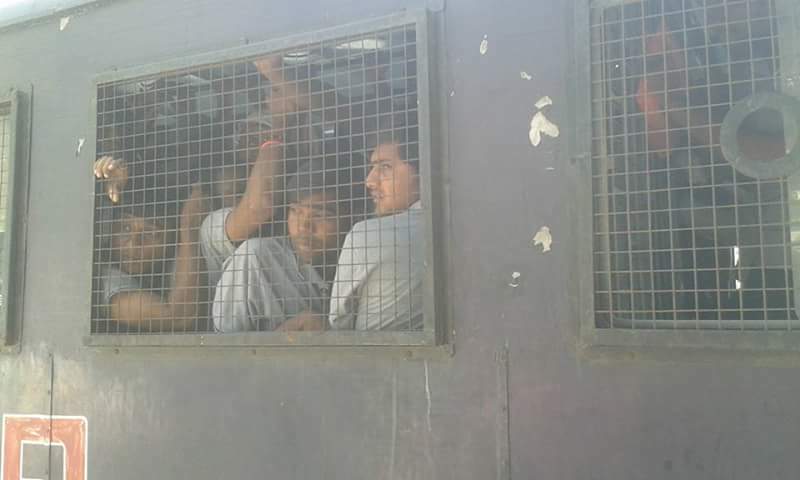 Ashim Roy of the National Trade Union Initiative, who has been guiding the Tata Nano worker, announced, "We will soon go in for a sit-in protest at the Gujarat Industrial Development Corporation (GIDC) gates on the highway off Sanand." The decision to go in for different forms of protests, in which the Gujarat Khedut Samaj, an upcoming farmers' organization, would also participate, was taken at a civil society meeting in Ahmedabad. Most of the Tata Nano skilled workers are farmers' sons from villages surrounding Sanand, below 30, and tech-savvy.